Government of india has launched new simplified income tax return form which has only 3 pages and now no need to mention foreign visits or bank balance. With efforts of Modi Government’s finance minister Shri Arun Jaitley, Finance ministry of India has simplified the income tax return form. Since, Income Tax Return (ITR) is compulsory to file and to boost financial awareness; Finance ministry of india has reduced the complication from ITR and presented new ITR with lesser complication. 1. No need to mention Foreign Trips: - Unlike earlier, now you don’t need to mention about your foreign trips in ITR form. No need to give detail briefing about your foreign visit, just mention your passport number in ITR, they will get all other detail themselves. Isn’t it simpler? 2. No need to mention Bank Balance from all Bank Accounts: - In new ITR Form, government has simplified this thing too. This will help most of business man since they have many bank accounts and can’t mention each bank account's balance detail in ITR Form. Now all you need to mention is Bank Account numbers and ISFC Code. Since they already have your PAN Card Number, they will fetch all details from there. 3. Fill Income Tax Return Online: - Yes, Finance ministry is preparing a new web portal by which any citizen can fill their income tax return easily. The new web portal will be available by end of June month. Check how to Pay Income Tax Online. 4. Last Date to fill Income Tax Return form is now extended to 31st August (every year) which was 31st July earlier. 5. For any other information which requested from Income Tax Department will be done via schedules. Why 3 different Income Tax Return form? ITR 1, ITR 2 and ITR 2A. 1. ITR 1 is for those who only have 1 house property and for those who earn from agriculture sector (whose income exceeds Rs.5000/- per annum). 2. ITR 2 is for those who have more than one house property and have more income source. 3. ITR 2A is for those tax payer and hindu undivided family (HUF) who have more than one house property and no capital gain. 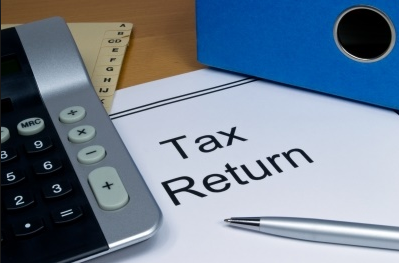 Will this new changes in Income Tax Return Form will help us? Defiantly, these new changes will make ITR process simpler. Since government wants everyone to fill income tax return, it is better to have simpler process. So, everyone can make it easily. Also, they can easily distinguish between whose going for education purpose and whose going for other purpose because this will help implication of Black Money Law in India. Check out the official notification page by Finance ministry of India.